Last summer, I was blessed with the opportunity to study abroad for a month in Valencia, Spain and to travel all around Europe afterwards. Needless to say, it was one of the best summers I&apos;ve ever had. The culture, the sights, the food- it was all so incredible. Upon my return to the United States, although I was excited to have access to "real American food" (peanut butter, bagels-which aren&apos;t actually American by the way, and southern fried chicken), I eventually found myself longing for a taste of authentic ethnic food and culturally stimulating experiences.Much to my delight, I discovered a few gems here in Charlottesville that helped soothe my post-Euro woes and satisfy my cravings for tortilla Española and fresh Italian-style bruschetta. Furthermore, I have also had the ability to explore and experience new cultures through the many other worldly establishments that C&apos;ville has to offer. So follow along with me for the next couple weeks as I take you on an around-the-world tour via the city of Charlottesville and Albemarle County. When in Rome... eat lots of pizza. Seriously, I had pizza 7 times in the 10 days I spent in Italy and I have no shame about it. 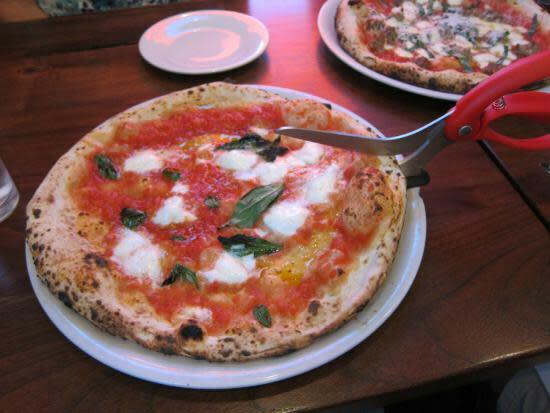 If you can&apos;t make it all the way to Italy, Lampo Neapolitan Pizzeria&apos;s authenticity will bring tears of joy? to your eyes with their lightning-fired "pizze". I promise you, you will not be disappointed. "Owner Valeria Bisenti came to America when she was 21 years old. 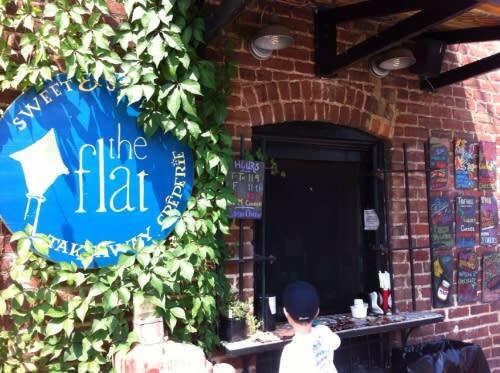 She believed the Charlottesville, VA area was in need of a warm, friendly, authentic, family-style Roman Italian restaurant with excellent food and affordable prices - like those she knew in her hometown of Rome, Italy. Ms. Bisenti, with the assistance of her husband Douglas Muir, wanted to create an atmosphere where the customer always knows they will get the best of everything, just like at Mama&apos;s house in Rome." Adorable. Now, as much as I&apos;d love to go on and on about the wonders of Italian food, it&apos;s time to move on. Ciao for now, and¡bienvenidos a España! Mas Tapas please. No really, I want more tapas. 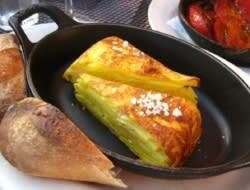 If you haven&apos;t had the chance to travel to Spain, try Mas Tapas in Belmont. 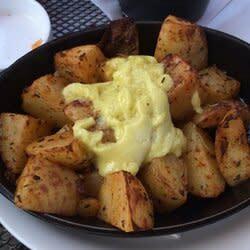 Do yourself a real favor and order two of my favorite dishes- as previously mentioned, tortilla española, and papas bravas. It&apos;s okay if you can&apos;t speak Spanish- their menu gives descriptions in English. Similar to the Italian family-style way of eating, I like tapas because it allows you to try a bunch of different things and share dishes amongst the people your group. Well, it&apos;s time to wave adios to Spain and say bonjour to our next stop, France! 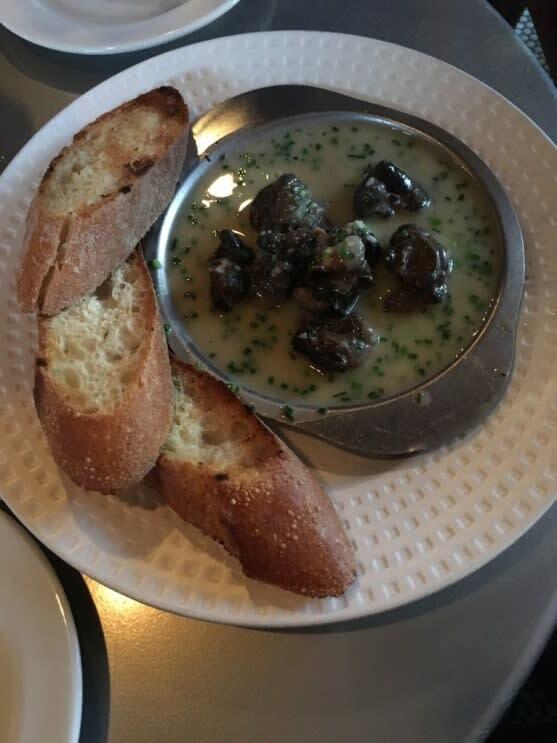 Go to Petit Pois and order the escargot (braised snails) for a truly authentic French dish. Trust me, they&apos;re not as scary as they sound and you can never go wrong eating something covered in garlic butter. 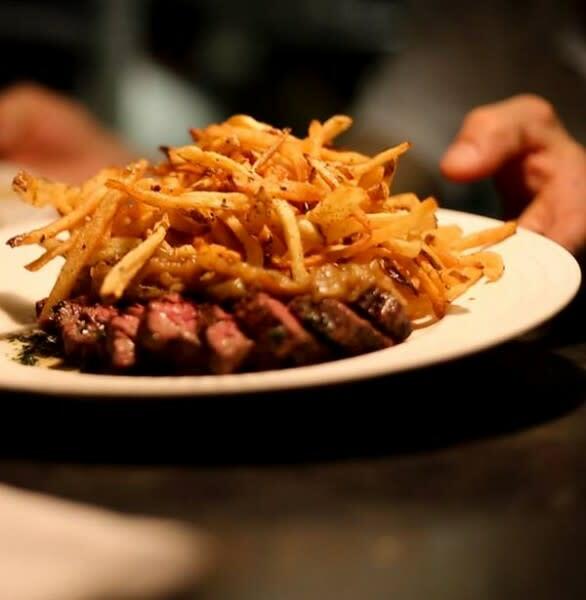 If you still aren&apos;t keen about eating snails, try something else at Petit Pois- their steak frites is my personal favorite. 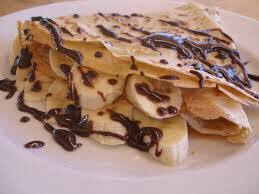 After dinner, I recommend heading over to the Flat Takeaway Crêperie and treating yourself to a crepe filled with delicious fillings such as Nutella, chocolate chips, strawberries, and bananas. When you&apos;re looking for something more salty and savory, try one of the Flat&apos;s breakfast or lunch crepes that can be filled with goodies like local ham, fresh veggies, avocado, and feta cheese. 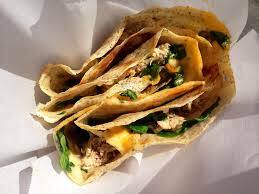 Honestly, I&apos;m drooling a little just looking at those crepe pictures. Anyways, as we make our way out of France, just remember- don&apos;t be sad it&apos;s over, just be happy it happened. This is to all you crepe lovers out there. Stay tuned for next week, and join me as we take a trip across the pond to Mexico and Latin America, South Africa, and India!